We’ve just received an urgent plea from the king and queen of the Eastern Isles. It would seem the royal fort at the ancient military city of Norverngrad was attacked three days ago, and five of the family’s princes, one of them first in line to the throne, were taken hostage, in a reckless attack in bold daylight. The attack lasted less than half an hour, with shadowy agents flooding the front gates and tearing through the fort’s living quarters to kidnap the five princes. According to an eyewitness report, the family’s princesses managed to fight off their attackers, while the princes “just sort of screamed a bit as they were dragged away”. Yesterday the king and queen received word from a nameless “evil warlord”, who has claimed responsibility for the attack, and stated that he alone knows the location of each of the princes. He has publicly announced that he will kill them all if the king and queen do not declare him Master Ruler of the Universe and Everything Ever. Obviously, the royals are hesitant to make such an appointment. Having such a creepy guy in charge of literally everything could spell the end of the world as we know it. However, they have stated that they will give in to his demands to save their sons. 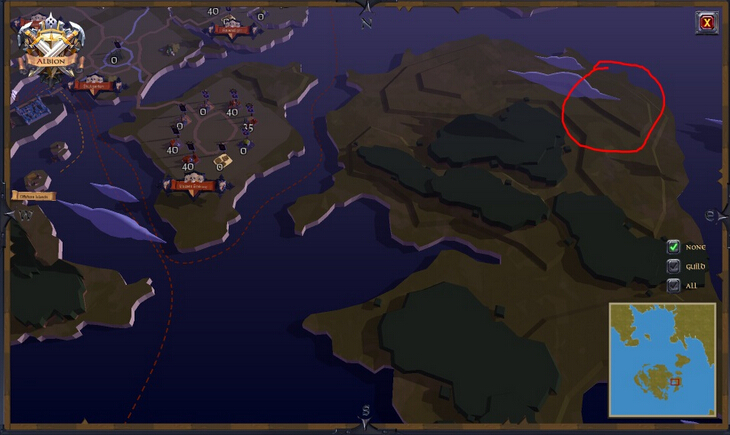 It turns out that the “evil warlord” has travelled overseas to hide his victims in Albion Online. Knowing little of this land, the king and queen of the Eastern Isles now wish to enlist the help of the settlers of Albion to rescue their sons. They have offered a generous prize of silver for the settler or group of settlers who can find them all. Meanwhile in Albion, this sadistic crime lord wants to play a game. Tired of mundane, unimaginative hostage-takings, and ultimately reluctant to kill the princes lest he get blood on his brand new trainers, he has decided to offer the settlers a chance to find each prince; a set of cryptic clues leading to their locations throughout Albion.